Jordan recorded 22 tackles, 1.5 sacks and a pass breakup in 2018. Analysis: Jordan sat out for four games this season, and he averaged just 25 defensive snaps in the 12 games -- the most he's suited up for since his 2013 rookie campaign. The Seahawks had three defensive ends log more snaps per game than Jordan, and that will likely be a factor in whether they re-sign him for the 2019 season. 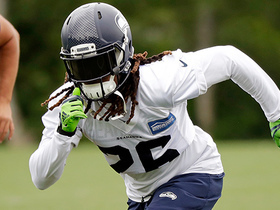 Jordan (knee) was a full participant at practice Tuesday, John Boyle of the Seahawks' official site reports. Analysis: Coach Pete Carroll said Monday he expected Jordan to return after sitting out Week 17, and his full participation Tuesday furthers that notion. The 28-year-old should return to his role as a rotational defensive end, assuming he avoids any setbacks the rest of the week. Coach Pete Carroll said Monday that Jordan (knee) will be a game-time decision for Saturday's game against the Cowboys, Brady Henderson of ESPN.com reports. Analysis: Jordan continues to manage a significant knee injury. The veteran defensive end sat out last week's win over the Cardinals in an attempt to get healthy for the NFC wild-card round, but his availability for Saturday's upcoming contest remains murky at best. If Jordan were unable to suit up, Branden Jackson would once again see a slight uptick in snaps. Jordan (knee) is inactive for Sunday's game against the Cardinals. Analysis: Jordan will remain sidelined with Seattle having already clinched a playoff berth, and focus on getting healthy. Branden Jackson could see a small uptick in snaps as long as Jordan misses time. Jordan (knee) is listed as questionable for Sunday's game against the Cardinals, Bob Condotta of The Seattle Times reports. 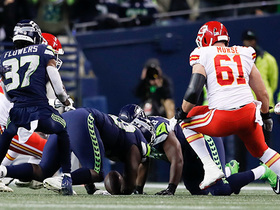 Analysis: Jordan toughed out his knee issue during last week's win over the Chiefs, and he played a key role in securing Seattle's playoff berth. The Seahawks have little at stake Week 17, so the team could elect to sit Jordan and allow him to get healthy for the postseason. 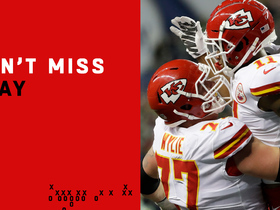 Jordan logged five tackles (four solo), one sack and one forced fumble during Sunday's 38-31 win over the Chiefs. 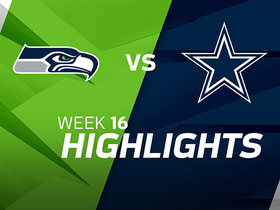 Analysis: Jordan posted his first full sack of the season during Sunday's primetime win, and he also managed to force a fumble that was recovered by Seattle and led to a touchdown. 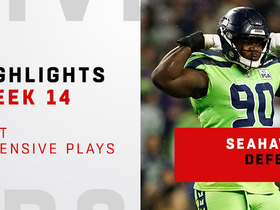 The veteran defensive end has battled injuries this season while recording 22 tackles and 1.5 sacks across 12 games, but he's been a critical rotational piece during Seattle's run to the postseason. 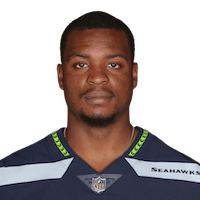 Jordan (knee) is listed as a full participant in Thursday's estimated practice, John Boyle of the Seahawks' official site reports. Analysis: The Seahawks did not actually practice Thursday, but Jordan's estimated participation is a good sign. 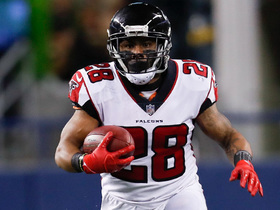 Jordan appears to have fully recovered from a knee injury sustained during a Week 11 win over the Packers, and he appears on track for Sunday's tilt against the Panthers. Jordan (knee) didn't practice Wednesday, Gregg Bell of The Tacoma News Tribune reports. Analysis: Jordan sat out last week's win over the Packers due to the injury and doesn't appear to be nearing a return to full health yet. If Jordan is unable to go Sunday in Carolina, Branden Jackson and Rasheem Green would see enhanced roles in the Seahawks' defensive-end rotation. Jordan (knee) is inactive for Thursday's game against the Packers. Analysis: Jordan was able to log two full practice sessions to end the week, so his lack of availability for Thursday Night Football is unexpected. It remains to be seen whether the rotational defensive end aggravated his knee injury during practice or the Seahawks are simply taking a cautious approach to Jordan's recovery. As long as Jordan remains sidelined, Branden Jackson will serve as the top backup to starter Quinton Jefferson. 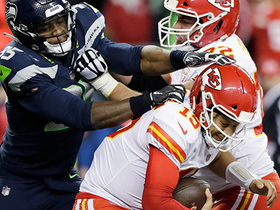 The Seattle Seahawks swarm Kansas City Chiefs quarterback Patrick Mahomes for a first-down sack. 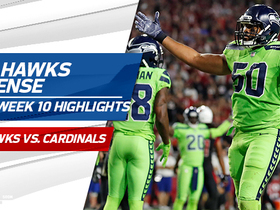 Watch the best defensive plays from the Seattle Seahawks in their Week 14 matchup against the Minnesota Vikings. 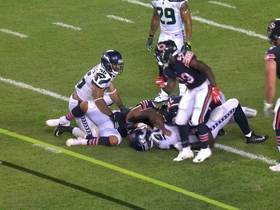 Chicago Bears tight end Trey Burton takes a direct snap for a play to fake a hand off to Chicago Bears running back Tarik Cohen against the Seattle Seahawks. NFL Network's James Palmer reports the latest on the Seattle Seahawks defense and how it will look different in 2018. Atlanta Falcons running back Terron Ward throws Bradley McDougald to turf with wicked stiff arm. 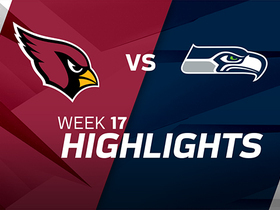 The Seattle Seahawks defense was dominant against the Arizona Cardinals in Week 10 as they forced a safety and contained star running back Adrian Peterson.